A boutique viewing facility for researchers conducting focus groups has been opened at Salford Quays. The Buzz Rooms, which is aimed at market researchers and insight managers, is housed in the headquarters of Infinity Asset Management at Clippers Quay. 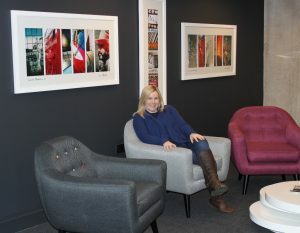 Infinity co-founder Sarah Butler set up the Buzz Rooms after conducting her own research and finding there was a gap in the market for a boutique viewing facility in the North West. “Having spoken to researchers, it was clear they were looking for something different,” she said. "Their feedback played a big role in the design and layout of The Buzz Rooms, which features modern furniture, a contemporary kitchen facility plus numerous breakout areas. The Buzz Rooms features a clients’ viewing room with a large one-way mirror through which they can observe the focus group in an adjoining room. The respondents’ room is equipped with video and audio recording equipment and has an online streaming capability so their discussions can be viewed remotely. Both rooms can accommodate up to 10 people at a time, and moderators can be provided on request.